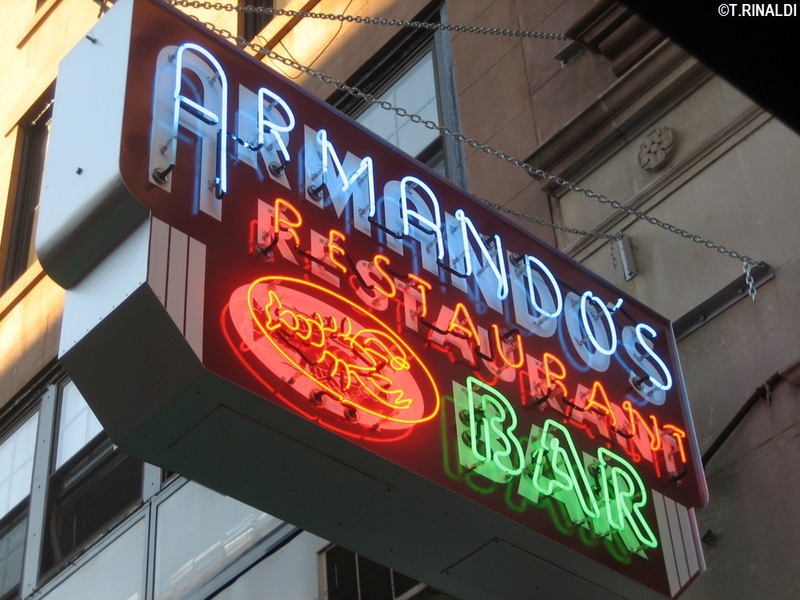 • From the another-one-bites-the dust department: Armando's, redsauce stalwart of Montague Street in Brooklyn Heights, has gone to neon's the great beyond. 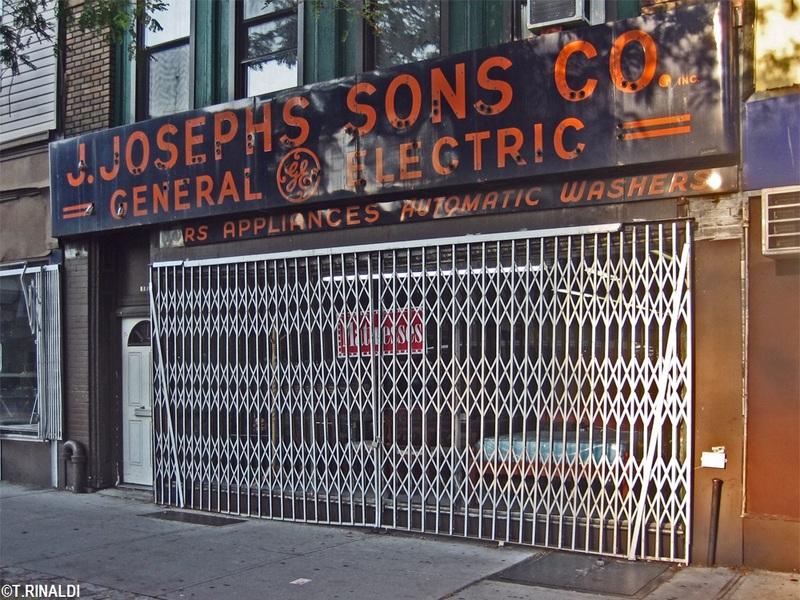 • Via the Jeremiah's Vanishing New York blog: in midtown Manhattan, high rent blight is encroaching on Cambridge Liquors and its great, gritty corner. • Also from JVNY, word that 8th Avenue's Show World Center has peeped its last, bringing down the curtain on one of the last vestiges of Times Square's bad old days. • From the still-more-bad-news-from-Jeremiahs-Vanishing-New-York department, say goodbye to B.B. 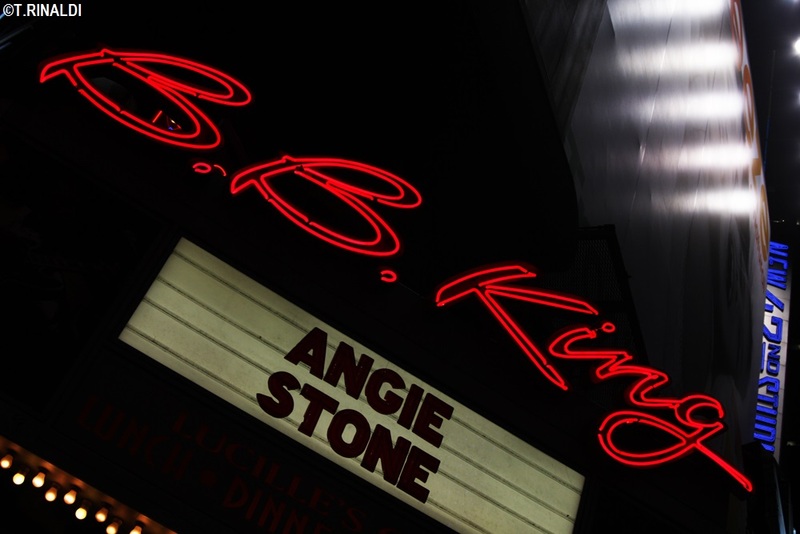 King's Blues Club & Grill on 42nd Street, a latterday neon landmark of Times Square. 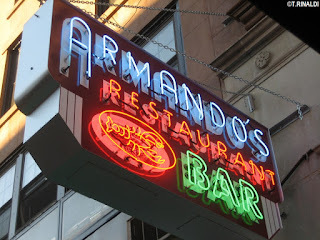 > Julian's, a long-vanished 14th Street pool hall. > The 20th Century Garage and its forgotten cinematic past. • From way out west, another incredible tour-de-neon from Debra Jane Seltzer. 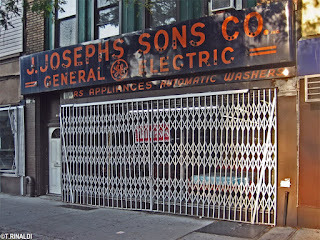 • From Greenpoint, Brooklyn, two more neon death notices on a single block: J. Smolenski Funeral Home has shuttered, and J. Joseph's Furniture & Appliances has closed and been demolished for new luxury residential construction. • For the fake neon enthusiast, Bud Lite's Post Malone Dive Bar Tour has gone for the gold on Instagram. • From the not-neon-but-still-cool department, a fabulous graphic tribute to New York in the 80s from Ilya Milstein via the NYT Style Mag. or the fake neon enthusiast, Bud Lite's Post Malone Dive Bar Tour has gone for the gold on Instagram. • And finally, from the let's-try-to-end-on-something-positive department - a super awesome looking outdoor exhibit of old neon signs has been installed in Boston's Rose Kennedy Greenway.